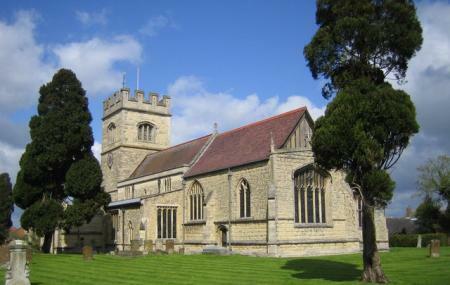 The St Lawrence’s Church in Winslow is a grade II listed building of Buckinghamshire. It is part of the Benefice of Winslow with Great Horwood and Addington. The worship procedure at Winslow is a jovial mixture of the choral, liturgical and sacramental values. The choir of the church is the member of the Royal Society of Church Music and it consists of the members of all age group up to 78 years. The church celebrates the established patterns of worship through prims and hymns and a Eucharist set to nursery rhymes and popular folk songs. Hospitality, Healing and Holiness –the foundation of the church ministries is set up on these three values. Visit the church to meet the community who love celebrating life. Oomph up your visit by adding the best hotels in Winslow like Peartree Lodge Waterside, Doubletree By Hilton Milton Keynes and City Stay Apartments - Hub. Generate executable plans on your own or book the top rated Winslow vacation packages for your visit. Read more on how to reach Winslow. Beautiful church, some of my ancestors are buried here. I'm from Yorkshire. Great village, very pretty. Absolutely stunning church with a rich history and beautiful grounds. Very old gravestones are well kept and provide historical glimpses into the past.